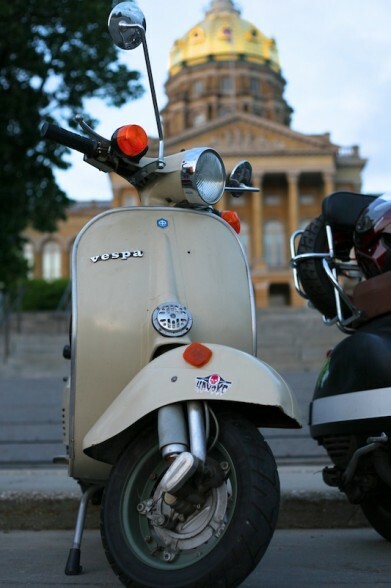 The motorscooter has appeared in countless films, whether as a star player or as a background prop, and many an internet thread or 2am campfire conversation has been dedicated to cataloging the history of scooters in movies. 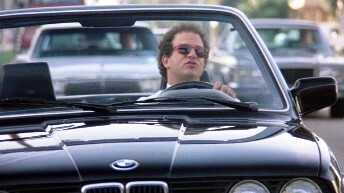 Only a handful of films, and even fewer major-release commercial ones, have given as much attention to our favorite mode of transportation as the new Tom Hanks film Larry Crowne. 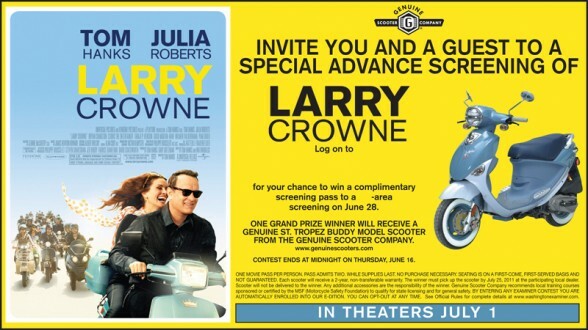 Seeing that the marketing team made an effort to target the movie to scooterists, through a marketing partnership with Genuine Scooters and outreach to scooter clubs and websites (including this one) around America, hopefully it’s worth reviewing Larry Crowne from the perspective of a longtime scooterist. 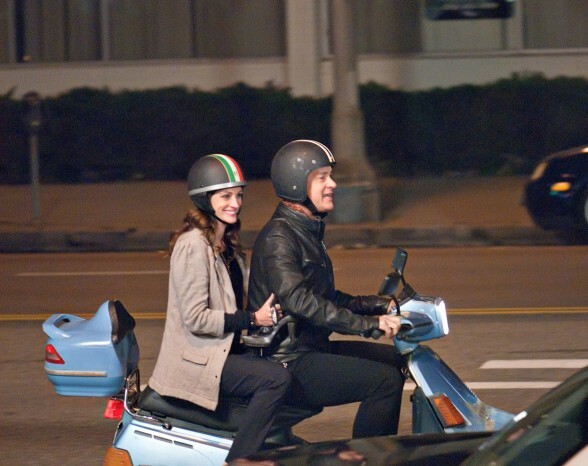 If you haven’t heard the name “Larry Crowne” thrown around yet, you will soon. 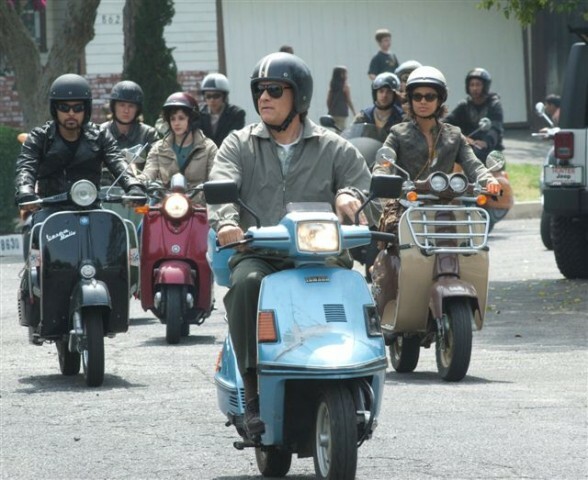 The Tom Hanks film comes out released July 1 (how many times will we see “…scoots into theaters?”) and features motorscooters more prominently than just about any film since Quadrophenia. 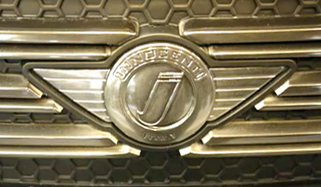 I know 2strokebuzz readers consider themselves pretty “avant garde” and this is a big-budget mainstream film, but I’m willing to bet a good number of hipster scoooterists will make an exception to their “Julia Roberts rule” for this one. 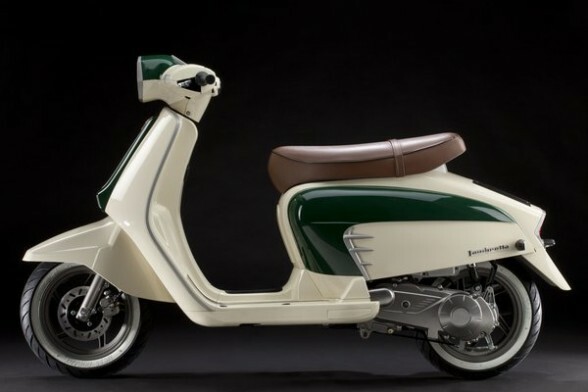 The Lambretta LN is available for presale at a UK dealer on eBay UK. 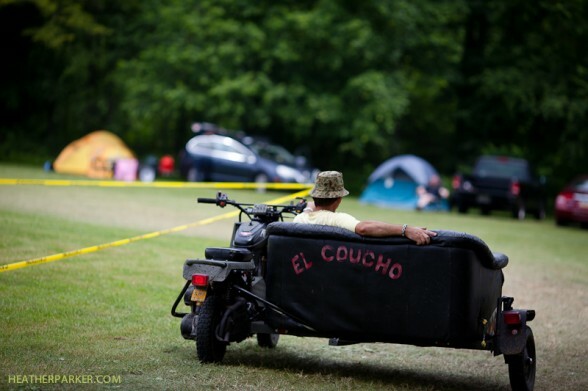 A “limited number” of the 4-stroke 125cc LN are due in Mid-June. The 2010-11 Cold Weather Challenge is still underway, though you wouldn’t know it from our total lack of hype. 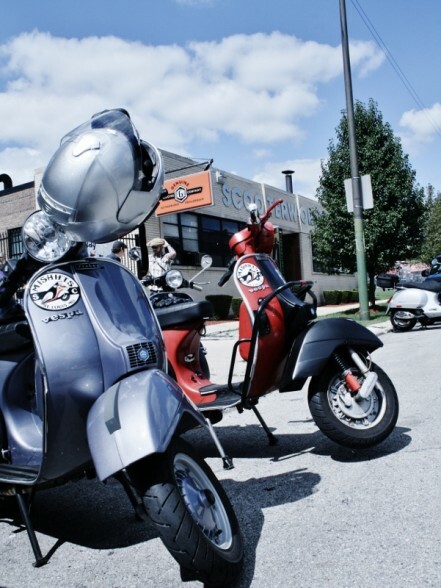 See the current entries below, including very impressive entries from Alan, Luigi, and Gavin, and be sure to track and post your 10-mile-plus scooter rides at or below freezing temperatures. 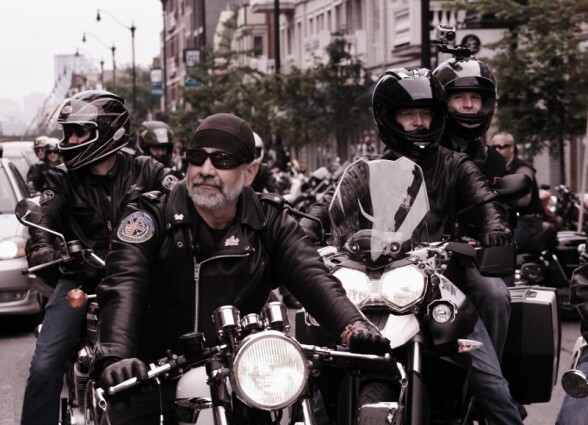 We recommend staying off snowy/icy roads, but when the roads and the sky are clear, get out there and ride! We’ll have this all a bit more organized ASAP. Thanks!